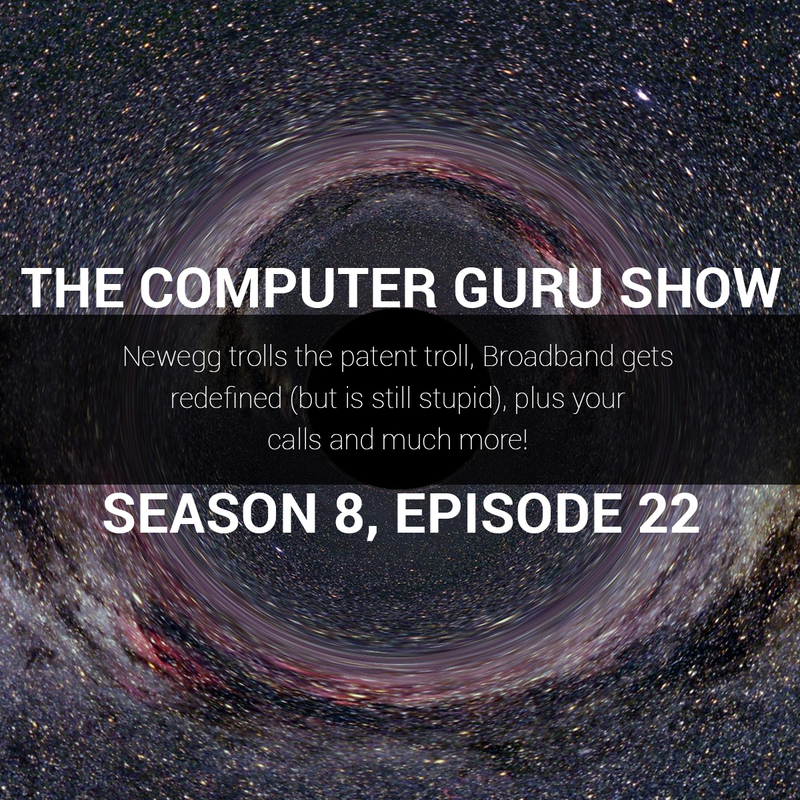 Podcast S8E22 – Newegg trolls the patent troll, Broadband gets redefined (but is still stupid), plus your calls and much more! Newegg trolls the patent troll, Broadband gets redefined (but is still stupid), plus your calls and much more! Mike and Tara talk Newegg's recent ownage of an annoying patent troll, the stupidity of how internet speeds are classified in the US, Google Fiber, and more. Mike also takes your calls and answers your questions!